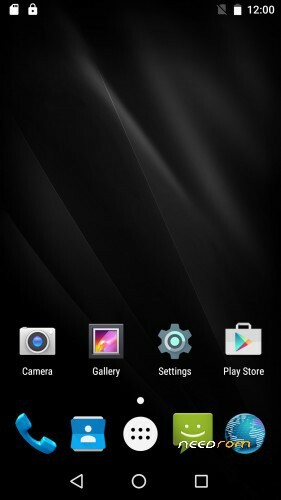 I RECOMMEND YOU TO FLASH THIS ROM ! Does anyone tested it on Apollo Lite? Its the sale hardware platform (k15tb_a). Flash on Apollo Lite works but after install it is not possible to use mobile data und phone because the error is "unknown IMEI". But camera works very fine !!! Try this! Works for me! did you use that rom ? Yes, and one ota appears today. 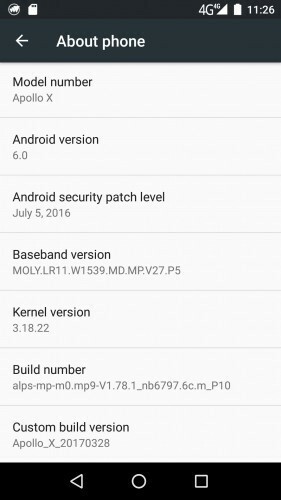 Hello guys, i have a strange problem, when i try to make an update with the "wireless update" he says to me an error, and i need to power off the phone and i can't update it to the lastest version, where i can get the lastest ROM? Its very strange, I have a Lite with the X ROM, and I can update with OTA without issues. He is trying to install an older version so for that i got a bug, there is no way to get the older one and after update to the newer from the wireless update? No wait i'm wrong… sorry… is trying to install the newer, 04/26/17 but he get an error, and i can't explain why, probably becouse is installed on a apollo lite? What is your version in details about the phone? i got the 20170328, but i want to update to 20170426 and i can't for that bug, u have 20170426? Yes I have an Apollo Lite with X ROM, 20170426 version. Try a factory reset.